From project goals, to billing, scope of work and terms of contract; every touch point with the client needs to be outlined in black and white to avoid complications and ensure smooth relationship with your client. It sets the tone for how the project will run and protect your back if any issues arise. Annoying isn’t it? Don’t worry I’ve been there too. You could absolutely avoid this ambiguity and waste of time and energy by ensuring that you and your client agree on a document called the “Creative Brief”. A Creative Brief is a communication tool that outlines a project’s requirements, expectations, goals, and resources. It helps ensure that all stakeholders in a project are on the same page from the start, which also helps the project run smoothly, stay on schedule, and be successful. Sometimes a client will have this document ready for you, other times you may have a client who isn’t conversant with this type of document so it will be your duty to create it. 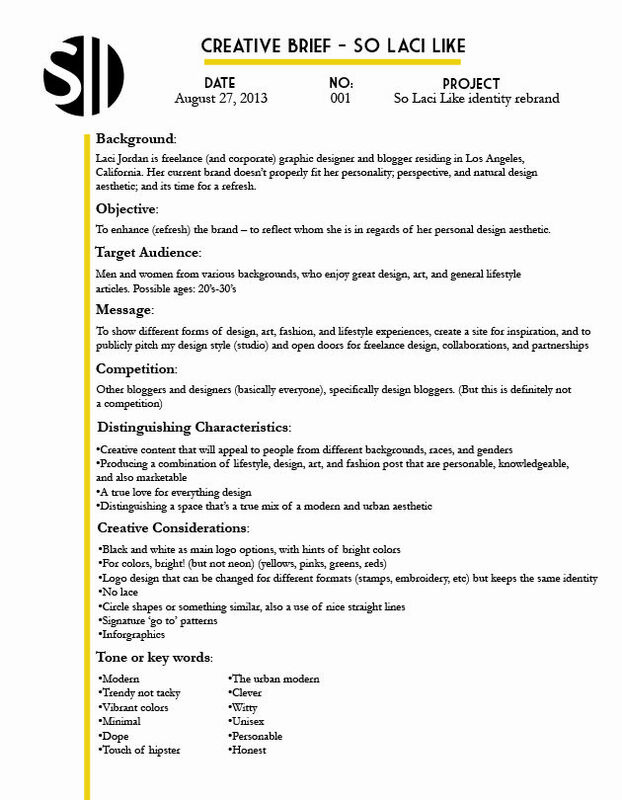 So let’s talk about how you can go about writing a basic Creative Brief. Bonus Tip: Use a Client Questionnaire to capture answers to these questions prior to writing the brief. My favorite way of doing this is through Google Forms . I like Google Forms because it’s totally free, which means that you have access to unlimited questions and responses. Other tools that you can use are Survey Monkey and TypeForm (Their free versions have limited functionality though.) If your client would rather answer questions over the phone, make sure that you write the answers down yourself and send them a copy after for validation. Now that you have a good idea of what the project will entail and can estimate the amount of effort and time that it will take you to deliver on it. It’s time to let your client know the cost of your service. You can easily send a text message or email stating your cost or just say it over the phone. However, this is a guide on how to do things professionally, so you will need to draft out an invoice itemizing the details of your service and payment information to ensure your client pays efficiently. Even if you verbally state your cost, make sure to always follow up that conversation with a written invoice. An invoice not only explains to your client the breakdown of your costs, but also removes ambiguity, reinforces your professionalism and protects you if the time comes to sue a client who refuses to pay up. 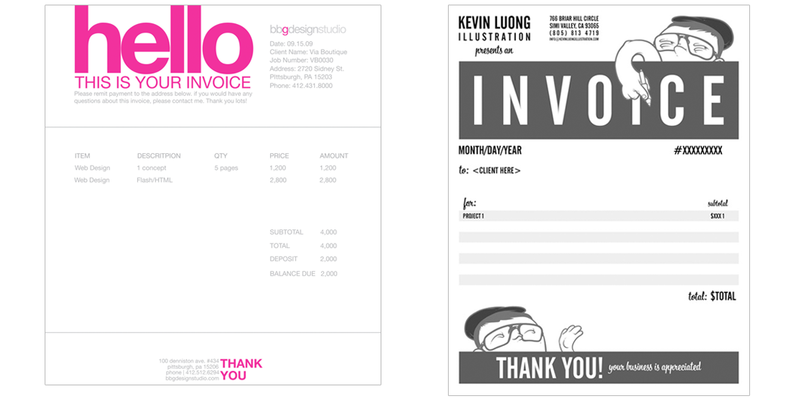 Invoices don’t need to be boring. Feel free to spice it up with your logo, brand fonts or colors to customize the look. Bonus Tip: Include in your invoice you expectations for when you would like to be paid. How much you want upfront and if applicable interest rate that it will attract if unpaid for a defined period of time. I know, I know. This isn’t one of the fun parts of trying to be professional. Trust me, no one likes contracts because they can be utterly boring, but they legally protect you and your business in various ways and make sure that you’re properly compensated for the work that you do. It guides the relationship between parties, obligations, responsibilities and ownership of the final product. A good contract will also contain a Statement of work which gives you the basis to charge additional fees for work beyond what you’ve initially agreed to do. 99U does a great job of breaking down the necessary details of a contract for creatives by stating 6 things that should be in every contract you write. 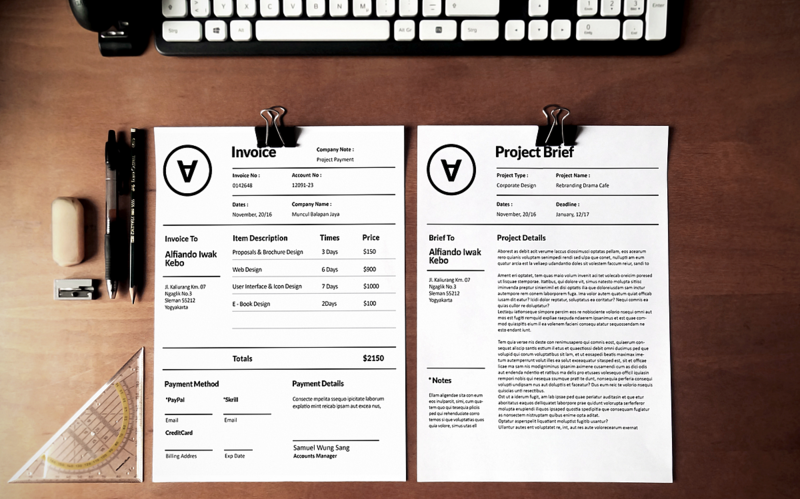 DOCRACY has a lot of free contract templates and guidelines for creatives which range from Design Contracts , to Web Design Contracts , Creative Retainer Agreements, Illustration Contracts and so on. Google Search: You can literally types search words like “Free design contract template” or “Free photography contract template” on Google to get a template that can guide you on creating you own. *Bonus Tip: Make sure to specify in your contract that rights to your work will be transferred ‘ONLY’ when you have received payment in full. That way you still retain ownership of the final product pending when payment is settled. You literally can sell that product to anyone else interested if that client refuses to complete payment. Your project was a success! The client loved your work and the level of professionalism that you brought. They have good things to say about you and you don’t want that to go to waste. Send them another questionnaire asking for feedback on the project. What went well? What do they wish you had done differently? Would they recommend you to someone else? These answers will help you judge the level of engagement you had and help you handle the next project even better. *Bonus Tip: You can share a good comment from your client on your website. If you think there’s something I’ve left out or would like me to write about any other helpful topic, make sure to comment below. Don’t forget to also subscribe so you know when there’s a new post. Found this really helpful. I’m still a young artist basically just sharing my works on instagram, but this has helped me know what is required of me when I take my art to the next level. Thanks ma’am.